The SCiO is a handheld molecular analyzer. The SCiO is a handheld device that pairs with a smartphone through Bluetooth LE being developed by Consumer Physics, an Israel-based startup funded by Kholsa Ventures. It’s based on near-infrared spectroscopy, which means it reflects light onto an object, then collects and analyzes the light reflected back. The Kickstarter launched Tuesday morning with several funding levels: a fully operational SCiO starts at $149, but Kickstarter backers pledging over $300 will receive two years of guaranteed app upgrades. While scientists and researchers use near-infrared spectroscopy on a regular basis, there are lots of consumers that would love to know more about the chemical composition of the world around them, whether it’s identifying the pills left in the back of the medicine cabinet or figuring out whether the fruit at the farmer’s market is ripe. 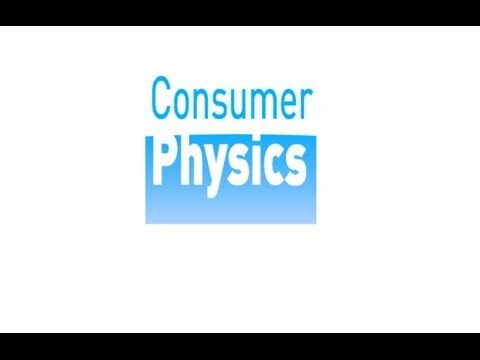 Consumer Physics will offer both Android and iPhone apps, and also hopes to develop a platform upon which third parties can build their own apps. Using the SCiO is simple: shine its blue light onto an object you want to analyze. In a few seconds, the associated smartphone app will take the spectrometer reading, send it to SCiO servers, analyze it and compare it to a database of known spectral signatures, and display the information in an easy-to-understand manner. In turn, the readings provided by users will make the spectral signature database more complete. Consumer Physics has developed three different applications for identifying food, medicines, and plants. During a short demo, I saw the module return the percentage of fat and number of calories per 100 grams of cheese. The SCiO was also able to identify a number of different over-the-counter drugs and could distinguish between a Tylenol and a Tylenol PM. I did not see the plant application, but eventually, it should be able to measure leaf hydration and soil hydration and provide hydroponic solution analysis. While the SCiO prototype is about the size of a large keyring, the actual module is much smaller. It’s closer to the size of a smartphone camera module, and could one day be included in a variety of forms, including wearables. Developer kits available through the Kickstarter for $200 offer bare-bones SCiO modules and come with CAD designs for 3D printers. Other companies working in the portable spectrometer space have also used the technology to track calories eaten and nutritional intake through a user’s sweat. The first SCiO prototypes will ship in October and the Kickstarter is live now.